Dove has come with an awesome "Dove Selfie Contest" where you can win amazing goodies. 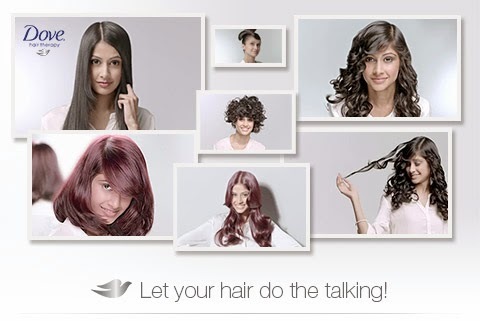 Just click your selfie pictures playing with your beautiful hair and send it too Dove here in this link http://play.dove.in. Participate in the #DoveSelfie Contest. Play with your hair & upload a Selfie photo. I love Dove body lotions and Shampoo range very much, Their Soap range is unbeatable still and it really makes your skin soft and smooth. They have amazing varieties of face washes and skin care range which are loved by everyone.